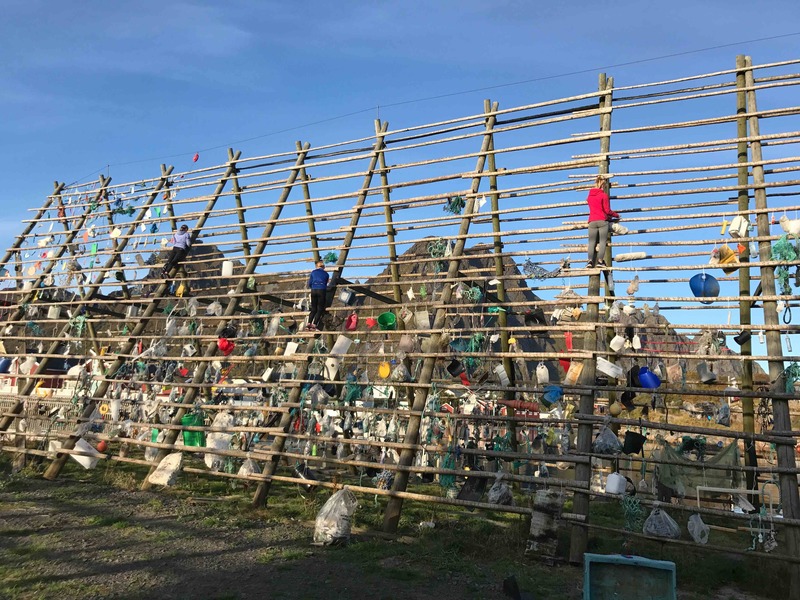 In collaboration with Hurtigruten and with the support of Miljødirektoratet and Hurtigruten Foundation, Lise Wulff is doing a large EcoArt project in lovely Lofoten, Norway. 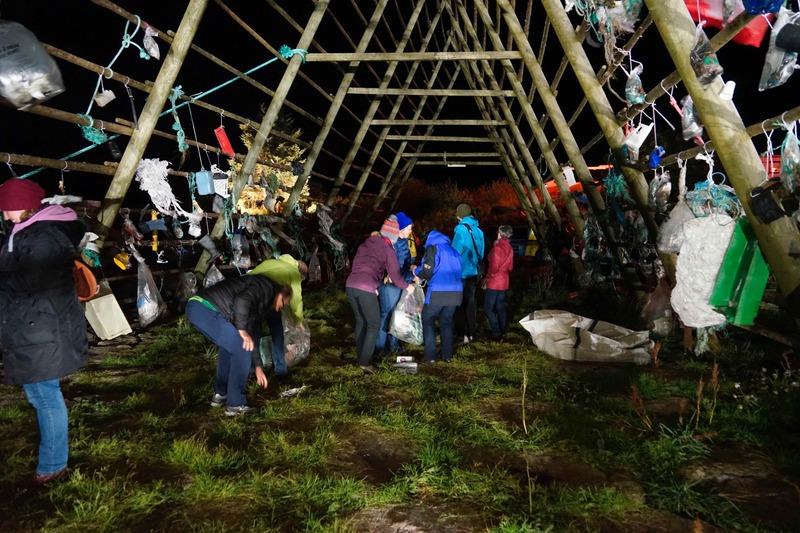 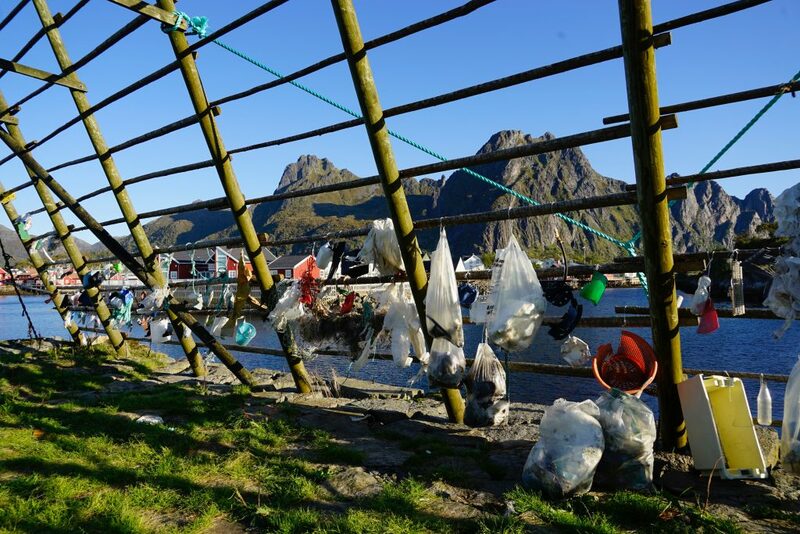 Passengers and crew of Hurtigruten collected 1.500 kg of garbage along the coastline of Norway the 19th of September. 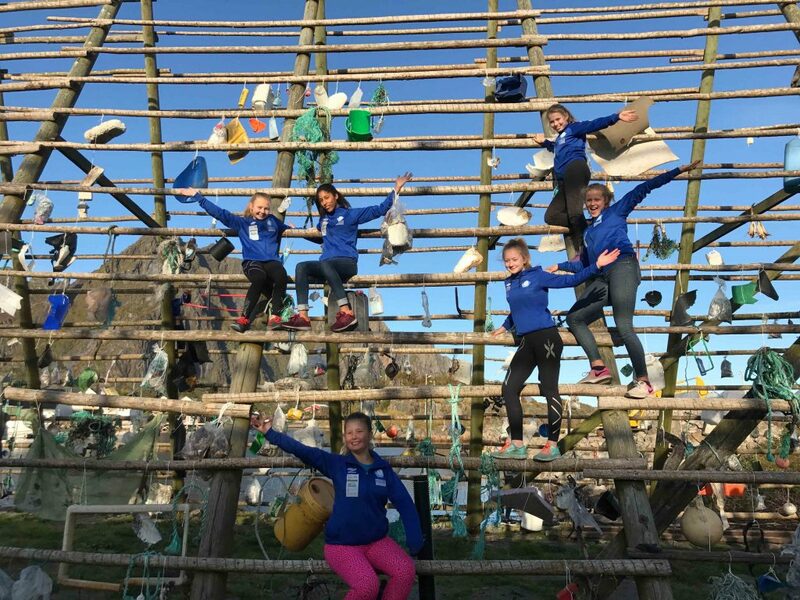 The plastic waste is mounted on a fish rack in Svolvær, gradually filling up the rack.